Your android device is actually a mini computer designed to be in your palm. Gone are the days when the purpose of a phone was just to be used for receiving and sending calls and texts. This is why, it is really important that we charge our android devices properly. When you charge your phone properly, you can get the best out of the device. 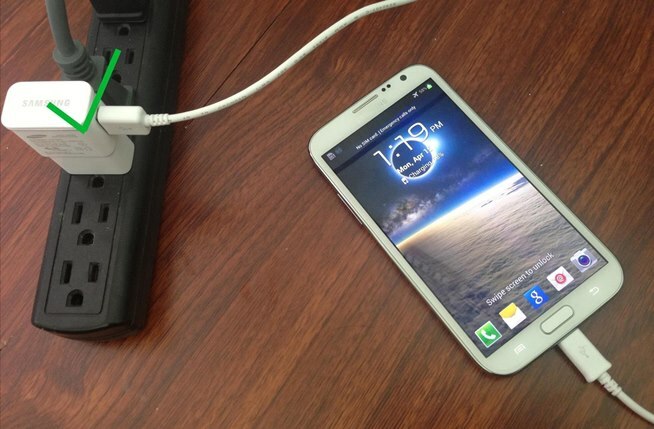 Here are some effective tips regarding how to properly charge your phone. This is very important. Since android devices have a lithium-ion battery, these batteries function the best when they are charged regularly, unlike their old nickel made counterparts. When it comes to android devices, it is better not to let the battery drain below 50%. An android battery functions the best when you charge it before it reduces to half. To properly charge an android device, don’t let it charge to a complete 100%. It is also important to take the phone off from the charger as soon as it is charged. Otherwise, your phone’s battery will get affected. Your phone’s battery remains charged properly whe you lessen the unnecessary burden on it. Turn on the WiFi when you aren’t using the internet, turn the brightness of the phone to low and disable the vibration of your phone. If your phone comes with an inbuilt Auto Save Power option, then enable it for saving battery. Turning off the GPS and Bluetooth also stops the unrequired consumption of the device’s battery. Simply disable any unnecessary notifications on the phone, and you will see how good your battery will function. By following the above mentioned tips, you will surely be able to charge your android device properly without exerting the battery too much.